What really matters: It’s mind that needs to be transparent, not glasses! It’s mind that needs to be transparent, not glasses! The brutal incident of Delhi that happened in a moving bus with tinted glasses suddenly reminded everybody of the Supreme Court judgment that forbids the use of dark colored films on vehicle glasses. Government failed to implement this law like most of the laws that are there and might help people in living a better life, but are not strictly implemented. 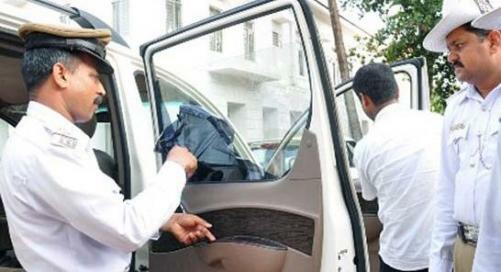 After the public outburst, police conducted many drives, some in media presence as well to stop and chalaan the offenders with tinted vehicle glasses. Among the vehicles were also the cars of Politicians, Army and other VIPs. The offenders gave many excuses for being found on the wrong side of the law, some shown arrogance of power while others raised concerns for privacy. The media mocked these excuses in the heat of the moment but some are actually worth giving a thought! With all due respect to the Supreme Court Judgment, does it really have the potential to put a check on wrong doers? Firstly, at one end, the judgment stops people from putting additional tinted film on their vehicle glasses (not even 1% tint is allowed). But at the same time, it allows the tinted glass if it is inbuilt, i.e. if it is provided directly by the car manufacturer. How logical is this? Secondly, isn’t bounding people to travel in a vehicle with transparent glasses - open to public view – raise concerns over the privacy of an individual? Considering the very obvious possibility of the travellers also being girls or women travelling alone in a car. Can’t leaving them in a clear public view be a potential threat to their safety? Let’s get a bit more logical and consider the fact that much of the wrong doings also happen behind the closed doors, between four walls; should we also ask people to have transparent window glasses in their houses and get rid of the curtains? What is the end to it? The decision in its current form has a potential to get challenged and altered, but till it is there, it should be followed. But what should also be done is the removing of films of dark thoughts from peoples’ minds and to clear the thinking. Clear mind will do more good to the society than clear glasses!